What's better than one bottle of wine? How about two! 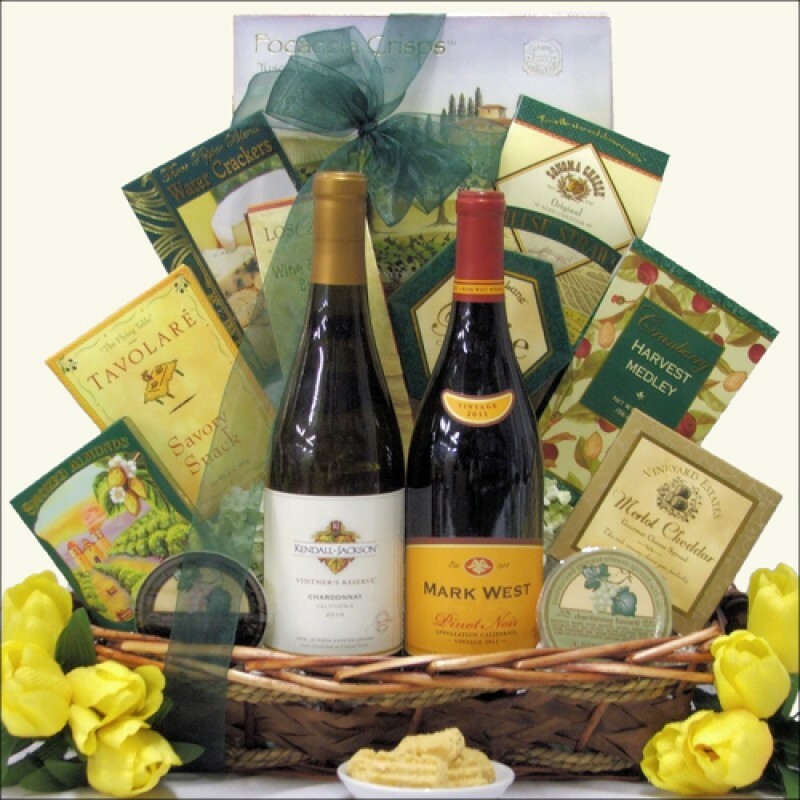 Select two bottles from our large selection of world renowned wines to add to this savory gift basket. This basket features gourmet cheeses, an assortment of tasty crackers and delicious snacks and nuts. This basket is an ideal choice for every occasion.